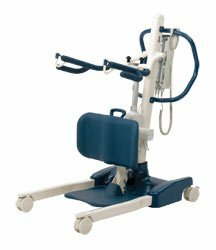 The Invacare Roze Standup Lifter is compact and manoeuvrable and provides an easy, safe and comfortable assisted transfer for patients in care or those with rehabilitation needs. Its design allows patients to be transferred or assisted from either a bed or a chair. Whether in the home, aged care facility or hospital, the Roze is the ideal stand-up lifter for the daily transferring of patients. Knowing the patient is comfortable creates confidence in the carer to use the Lifter, and therefore reduces manual handling injuries. The Roze features an ergonomic lift angle designed to minimise shear when lifting a patient. The handles on the lifting boom enable the user to adjust their hand position, making them feel comfortable and secure during raising and lowering. The Roze lifts smoothly to a full standing position and for those who only need help rising, simply remove the footplate. The large height adjustable knee pad caters for a range different patient heights. 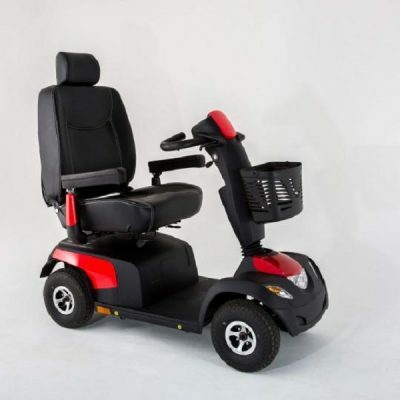 The Roze can be used for two types of transfers; standing assistance or seating assistance. The Roze has a very compact base for a 200kg lifter, which make it easier to manoeuvre in smaller spaces like bedrooms and bathrooms. The Roze is constructed of a combination of aluminium and steel and has smooth rolling castors, so a carer can push the lifter smoothly and with reduced force. With a large push handle, the carer is able to position their hands for comfort and ease of manoeuvering the lifter. The single position hook makes for simple and easy sling attachment plus a safety clip prevents the sling from disengaging. Added safety features include an emergency stop button, an emergency mechanical descent system and an anti-entrapment device, (which stops the boom lowering if it meets resistance). Specifications: The Roze measures at 112cm (L)x 66cm (W) and range of spreader bars fully extended 105cm and with an adjustable lifter range from 94cm-161cm. The safe working load of 200kg.